You may remember The Humble Loaf, a small bakery, tucked near the back of Katong Shopping Mall, which ceased its operations on 30 April 2014. They have some good news! A space at Beach Road/Bugis has been secured. Not exactly in the East, but not that far off either!(Peace.) Full Address to be announced soon. There will be a name change, because the new place will be more than a sandwich place and The Humble Loaf may be an inappropriate name in the long run. We are currently in our R&D /set-up phase and there are more things to be confirmed. Meanwhile, we have a little information about the new place to share. In addition to sandwiches and coffee, we are now able to offer stews, soups, steak, pasta, roast, ice cream and great pastries. There are both air conditioned and outdoor seats. Parking is sufficient, buses and trains are adjacent. 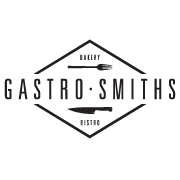 GastroSmiths will be opening its doors sometime in July 2014. Check out GastroSmiths' Facebook page for further updates.